Average selling prices for iPhones were $728, compared with Wall Street expectations of $742. Apple Inc on Tuesday reported resilient iPhone sales in the face of waning global demand and promised $100 billion in additional stock buybacks, reassuring investors that its decade-old smartphone invention had life in it yet. Apple's quarterly results topped Wall Street forecasts, which dropped ahead of the report on growing concern over the iPhone. The Cupertino, California-based company also was more optimistic about the current quarter than most financial analysts, driving shares up 3.6 percent to $175.25 after hours. "I'd hoped for more on the dividend side or maybe a strategic investment," said Hal Eddins, chief economist for Apple shareholder Capital Investment Counsel. "I assume Apple can't find a strategic investment at the current prices that will move the needle for them. The $100 billion buyback is good for right now but it's not exactly looking to the future." Average selling prices for iPhones were $728, compared with Wall Street expectations of $742. 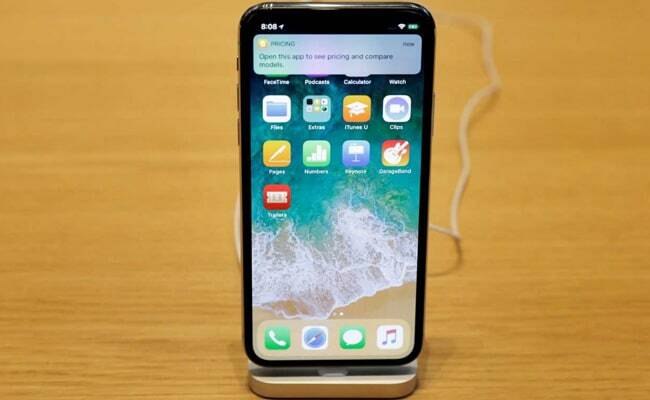 The figure is up more than 10 percent from $655 a year ago, suggesting that Apple's iPhone X, which starts at $999, has helped boost prices. "This is the first cycle that we've ever had where the top of the line iPhone model has also been the most popular," Cook said during the company's earnings call. "It's one of those things like when a team wins the Super Bowl, maybe you want them to win by a few more points. But it's a Super Bowl winner and that's how we feel about it." The iPhone X has shaped up to be "a good, not a great product. There was a time prior to its introduction that investors expected it to be a great product," said Thomas Forte, an analyst with D.A. Davidson Companies. "Now that we know it is a good product, as investors have lowered expectations, that is enough, in my view, for shares to go higher from current levels." Apple also predicted revenue of $51.5 billion to $53.5 billion in the June quarter, ahead of the $51.6 billion Wall Street expected as of Monday evening, and the share repurchases in the March quarter drove Apple's cash net of debt down slightly to $145 billion. "We are returning the cash to investors as we have promised," Chief Financial Officer Luca Maestri told Reuters in an interview. Apple's services business, which includes Apple Music, the App Store and iCloud, posted $9.1 billion in revenue compared with expectations of $8.3 billion. Heading into earnings, investors were hopeful that growth in that segment could help offset the cooling global smartphone market. Julie Ask, an analyst with Forrester, said Apple's services segment results were positive but warned that Apple needed to continue to boost subscriptions on its platforms, which reached 270 million users in the March quarter and includes people who subscribe to third-party apps on the iPhone as well as Apple's own services like iCloud. "Apps are carrying most (services revenue) right now, but Apple needs to get to a place where it's mostly subscriptions and monthly fees and not just one-off downloads," Ask said. Greater China sales rose 21 percent from a year earlier, Apple's best growth rate there in 10 quarters, to $13.0 billion. While there has not yet been a tariff on devices such as Apple's iPhone, Cook travelled last week to Washington to meet with U.S. President Donald Trump at the White House to discuss trade matters. "China only wins if the U.S. wins and the U.S. only wins if China wins," Cook said on the call, when asked about a possible trade war. "I'm a big believer that the two countries together can both win and grow the pie, not just allocate it differently," he said.